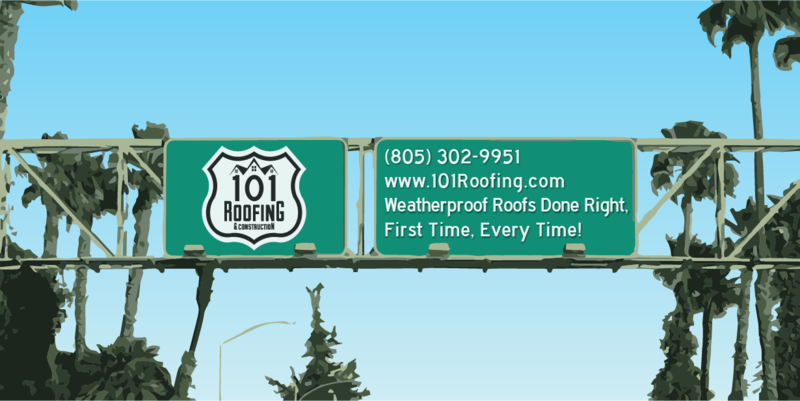 101 Roofing & Construction – Weatherproof Roofs Done Right, First Time, Every Time! Weatherproof Roofs Done Right, First Time, Every Time! The key to protecting your home starts at the top. That’s why you should put 101 Roofing & Construction at the top of your list for roofing contractors. There’s no limit to the damage your home may suffer due to your roof’s age, poor installation or lack of maintenance. Investing in a new roof helps protect your biggest investment. That’s why it’s essential to replace your roof with the best roof available. And 101 Roofing & Construction delivers. The Ventura County (and surrounding cities) area features many unique architectural styles, including many styles that make flat roofing aesthetically desirable. Flat roofs are more difficult to install and maintain, and drainage problems and a lack of adequate insulation only serve to make flat roofs more of a challenge than standard roofing. NEW #wordpress #blogpost feat. @101roofing 1.#logo 2.#website & 3.#screenprint #tshirts! Visit: www.RepublicDesignCompany.com + www.101Roofing.com and check it out! Owens Corning duration composition shingle roof desert tan color with full roof rafter replacement, radiant barrier plywood and shiplap eave install. Cedar shingled #roof coming off with extra care, with regards to the surrounding #environment.